There were 342 press releases posted in the last 24 hours and 153,673 in the last 365 days. 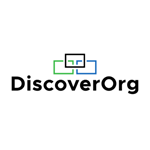 /EIN News/ -- VANCOUVER, Wash., April 16, 2019 (GLOBE NEWSWIRE) -- DiscoverOrg, the leading B2B intelligence platform, is proud to announce that Derek Smith, Senior Vice President of Data & Research at DiscoverOrg, has been awarded a prestigious “40 Under 40 Award” by the Portland Business Journal. The award is granted to forty young professionals for outstanding leadership in their careers and compelling community involvement in the Portland and SW Washington area. Smith has transformed DiscoverOrg’s data collection process from a manual, labor-intensive process to an automated, technology-first approach that scales easily. While DiscoverOrg’s research team has doubled in the past year, Smith’s work has enabled the amount of data collected to increase by 500% during the same time. His process innovations attracted outside investment and contributed to DiscoverOrg’s acquisition of ZoomInfo in February. Smith has also been tasked with integrating data collection at these two companies - together, the largest B2B data provider in the industry. Smith was additionally awarded for his contributions to the Evergreen School District’s Family Resource Center during an annual fund drive at DiscoverOrg; his free-throw fundraiser event single-handedly raised more than $20,000. Whatever your next stage of growth, DiscoverOrg will get you there faster. Almost 15,000 growthbound organizations depend on DiscoverOrg’s deep B2B intelligence to drive their sales, marketing and recruiting activities. Our award-winning solutions provide a stream of accurate and actionable company and contact insights that can be used to find, connect with and sell to target buyers and hires more effectively – all integrated into the leading CRM, Sales Engagement and Marketing Automation Tools on the market. DiscoverOrg’s biggest differentiator is the combination of proprietary technology, tools and integrations with a layer of human-verification that allows us to deliver the highest guaranteed accuracy of any B2B provider in the market.